« Come Join us at SCRAPS OF US and join us for a fabulous Class by Nadege! Wow, what an incredibly looooooooong week it has been. Haven’t gotten much done in the way of scrapbooking this week, too busy getting back to school stuff ready for 4 of the kids. 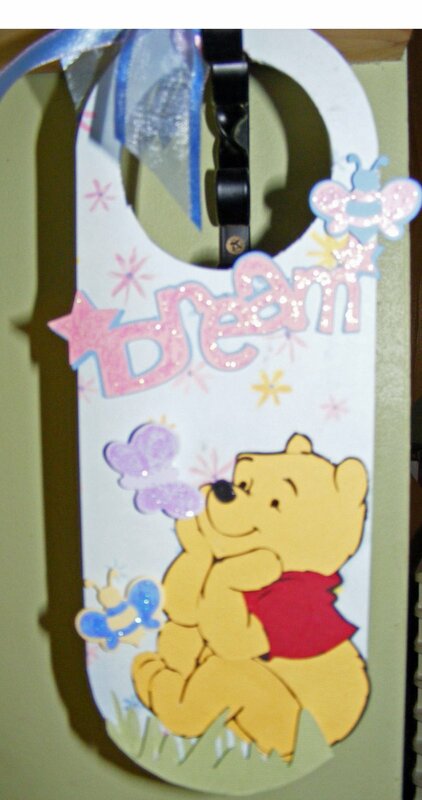 Anyhoo, I did manage to do some new things on the cricut with SCAL this week and sat down last night and made a door hanger for Miss Keely. This entry was posted on January 24, 2009 at 11:04 pm and is filed under Pooh Bear SVG. You can follow any responses to this entry through the RSS 2.0 feed. You can leave a response, or trackback from your own site. Your files are SO cute! Thank you so much for sharing. I’m brand new to SCAL (About 1 week). I saw your post about having created some files…Ariel, Minni and Mickey, Pooh, Piglet etc. I would LOVE to give these a try as I don’t know yet how to make them myself. If you don’t mind sharing, my email is hope9811@hotmail.com. Thanks so much. Cute blog! 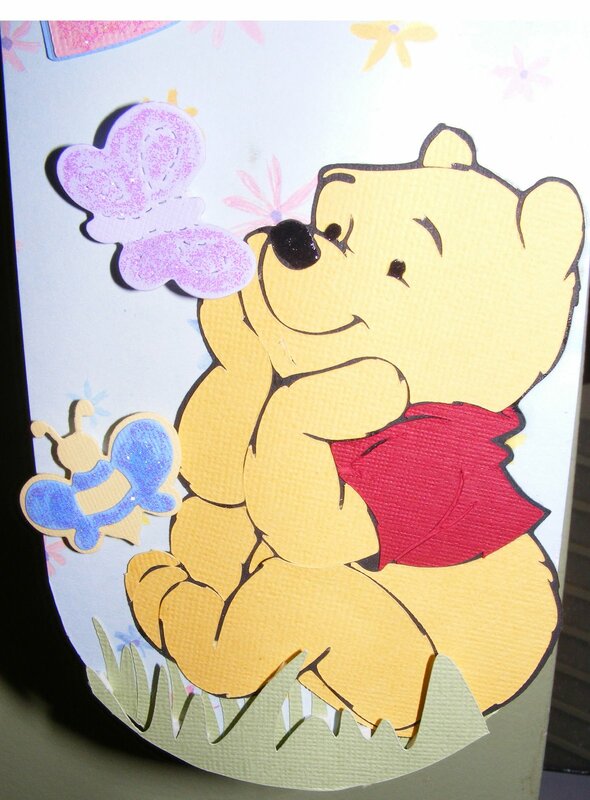 You did such a great job on Pooh. Could you send me the file for Mickey and perhaps Tink? Thank you for your generosity. Very cute! Thank you for sharing! !